Taking care of yourself — physically and mentally — is one of the most important things you can do as a caregiver. This could mean asking family members and friends to help out, doing things you enjoy, or getting help from a home health care service. Taking these actions can bring you some relief. It also may help keep you from getting ill or depressed. Here are some ways you can take care of yourself. Join a caregiver's support group. Keep up with your hobbies and interests. Get exercise as often as you can. Keep your health, legal and financial information up-to-date. Everyone needs help at times. However, many caregivers find it hard to ask for help. They may feel they should be able to do everything themselves, or that it's not all right to leave the person in their care with someone else. Or maybe they can't afford to pay someone to watch the person for an hour or two. Here are some tips about asking for help. It's okay to ask for help from family, friends, and others. You don't have to do everything yourself. Ask people to help out in specific ways, like making a meal, visiting the person, or taking the person out for a short time. Call for help from a home health care service when needed. Use national and local resources to find out how to pay for some of this help. You may want to join a support group of Alzheimer's disease caregivers. These groups meet in person or online to share experiences and tips and give each other support. Ask your doctor, check online, or contact the local chapter of the Alzheimer's Association. Caring for a person with Alzheimer's takes a lot of time and effort. Your job can become even harder when the person gets angry with you, hurts your feelings, or forgets who you are. Sometimes, you may feel discouraged, sad, lonely, frustrated, confused, or angry. These feelings are normal. Here are some things you can say to yourself that might help you feel better. I will try to get help from a counselor if caregiving becomes too much for me. Some caregivers find that going to a church, temple, or mosque helps them cope with the daily demands placed on them. For others, simply having a sense that larger forces are at work in the world helps them find a sense of balance and peace. Here are other things to keep in mind as you take care of yourself. Understand that you may feel powerless and hopeless about what's happening to the person you care for. Understand that you may feel a sense of loss and sadness. 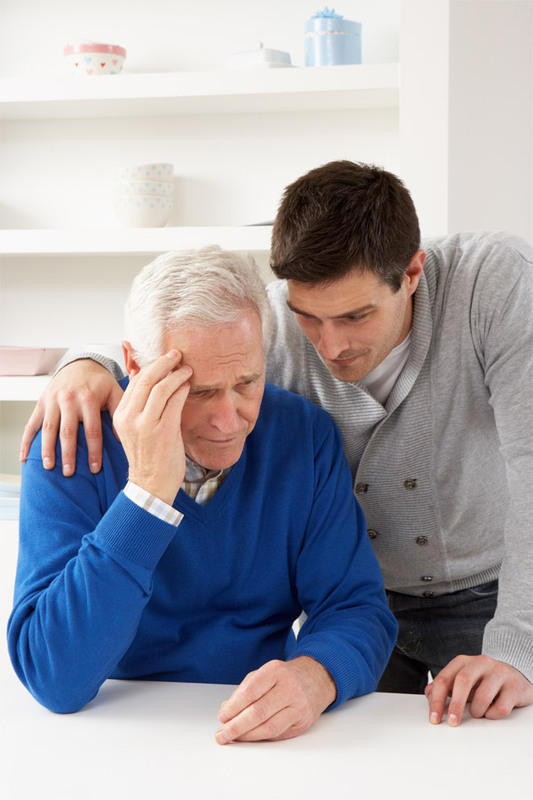 Understand why you've chosen to take care of the person with Alzheimer's disease. Ask yourself if you made this choice out of love, loyalty, a sense of duty, a religious obligation, financial concerns, fear, a habit, or self-punishment. Let yourself feel day-to-day "uplifts." These might include good feelings about the person you care for, support from other people, or time spent on your own interests.